Well here we are in Picton in the South Island of New Zealand after one of the most special days of my life yesterday. We managed to paddle all the way across the Cook Strait from Makara beach in Wellington, in through the notoriously difficult Tory Channel entrance, and onwards to Picton in a 10h 10m effort. This is a journey of at least 67km (from the SPOT GPS which takes a few short cuts, so I would say it would be at least 70km more like it). As I reported on Monday evening we were in position to leave at 4AM on Tuesday morning to get the window before the wind picked up at lunchtime. I could hardly sleep Monday night in a combination of nervous excitement. Sometimes waiting is the hardest part, your mind plays all sorts of tricks. I was of course worried about what could go wrong, but I was more in awe of the fact that I was finally in position to attempt this crossing at all. Some people wait months, years or never get these opportunities in life. And here we were, turning up in Wellington one day before and this weather window popping up. I called Mum and Stephanie for a quick chat before bed, it’s always nice for me to hear these two voices before I attempt anything big. At 3:15AM, my alarm went off and we quickly packed and had some breakfast before meeting Tim Taylor and heading down to Makara beach in the dark. At the beach as we got out in the dark it was windier than expected and I was shocked how cold I felt. I started shivering and thought “oh no, this is not good”. Tim took a walk along the beach and then made the call to launch and we would get out there for one hour and see what it was like. We quickly had the boats set-up, I felt a little warmer once I had the spray skirt and the life jacket on then it was time to roll. We launched in the small river and had to punch out through the waves on the small rocky beach to get out. We paddled hard for 50m to get through this and were soon out beyond the surf zone waiting for Tim who very quickly caught us up. And then we were off, we could make out the lighthouse flashing on the Brothers Island 25+ km away across the Straits, so we headed towards this initially. I had to pinch myself I was in this position. Paddling a kayak in the Cook Strait at 4:45Am in the morning – unreal! At that point there was no other place in the world I would rather have been. We paddled hard for 30 minutes then stopped while Tim put a call into Wellington Maritime on his VHF radio. Then we set-off again. I was paddling slightly harder than I would normally would for along trip, mainly through nervous excitement, and my right hand started cramping as I clutched the paddle hard. My shoulders also felt tired, but from experience I knew this was temporary, and after an hour or so I would get into the rhythm and be able to paddle for hours without pain. We stopped every hour for a quick break, I would take a pee in my pee bottle and empty it over the side, then have a quick snack and a drink. The sea became really confused at one stage for about 45 minutes, and we were smacking up high out of the water, over the swell and chop. It was exhilarating, and I was amazed at how safe I felt in this frothy and powerful mess, sitting a long way offshore in a sea-kayak. I prayed the boat would look after us as we banged and crashed across the waves. The sun started appearing around 5:30AM and we paddled on and managed to clear the rough patch of water, the further we paddled the smoother it got, with long period gentle swells rolling through. Sitting in the middle of the Cook Strait and feeling the smooth power of these huge swells move your boat up and down is a truly incredible experience. I tried to savor every moment, the sights and sounds and smells. Huge Albatross birds came swopping around the kayak with their massive wings mere inches of the water, true creatures of grace. As we got closer to the South Island the gray nature of the land in the distance turned to cliffs and we could start to make out features on the land. Tim made the call to head towards Tory Channel entrance, and we struggled to make out exactly where the entrance is. It is camouflaged when looking straight on from a long distance off. We needed a ferry to pop out of it, and we finally saw a long way off, the Interislander steaming over from Wellington. She was tiny at first and we could just make her white silhouette as we rode high on the swells. Gradually she became larger and we followed the direction she as making towards Tory Channel entrance. Tory Channel is notorious for having horrific tidal induced currents so I was anticipating a tough time here. Around 2km out we started experiencing current pushing us out, so it was a slog for one hour to get into the mouth of the entrance which happened just after the ride turned from an outgoing tide to an incoming. This was perfect for us and it meant the current reversed and instead of getting pushed out we would get sucked in. We paddled in through the narrow entrance and headed for a small bay with a farming homestead. We pulled into the beach in 5hours and 10 minutes. What a magical feeling, to set foot on Arapawa Island and know we had just crossed the Cook Strait! 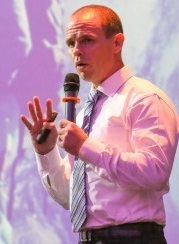 We shook hands, took photo’s and had more pee, drink and food. We all felt really good and strong with plenty of gas in the tank so started discussing the option of heading all the way to Picton today instead of camping in the sounds. We decided to push on and see. We headed off after about a 30 minute break and headed up Tory Channel. Bluebridge and Interisland ferries passed us, looking huge and majestic as they steamed slowly through the sounds. We reached the small bay with our intended campsite after 1.5 hours, and all decided to push onto Picton. On we paddled and very soon with the wind behind us we had cleared Tory Channel and were into the Queen Charlotte Sound. Here the wind and currents were perfect with small waves rolling in which we could literally surf on our way into Picton. We made great time on the way down the sounds, and there ahead was Picton finally! Alan and I picked up the pace and paddled hard into the final bay, only to get almost all the way in and realise it was not Picton after all! Picton was the next bay around. Woops. Anyway, we paddled around the small peninsula and very so0n were heading into Picton. We pulled into the beach at Picton in 10h and 10m after leaving Makara. A journey of at least 67km. The rest of the day was spent locating our bikes (which had come across on the morning ferry but the crew forgot to take off so they went back to Wellington again! 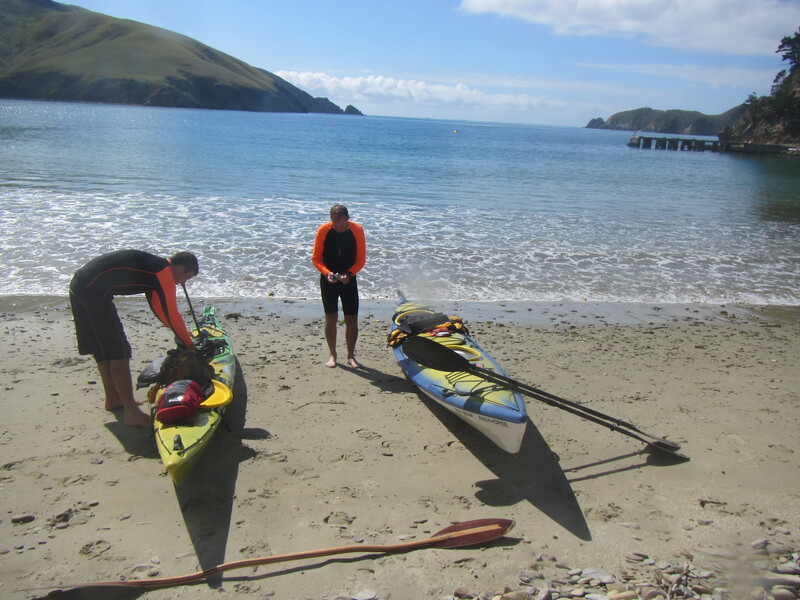 ), loading Tim and the kayaks back onto the 7pm ferry to Wellington and finding accommodation. Alan and I had three beers and I had 6 fresh oysters in celebration of the paddle then promptly vomited it all back up 2 hours later. Maybe one beer too many. Today we feel fine and none the worse for the paddle (but maybe for the beer in Alan’s case). We have the cycles and will head off towards Kaikoura in the 700km journey south towards Aoraki/Mt Cook. As Alan said yesterday, it’s all uphill from here, literally the sea-level here in Picton to the highest point in New Zealand. Thanks must go to Tim Taylor, a lovely guy and great sea-kayak guide. It was an honour to paddle the Straits with you. To Liz and Rubin for helping with the bikes in Wellington. For Christine and Pat’s friendly help at the Makara side in their beautiful B&B. To Paul for the interview, and to all the messages of support. 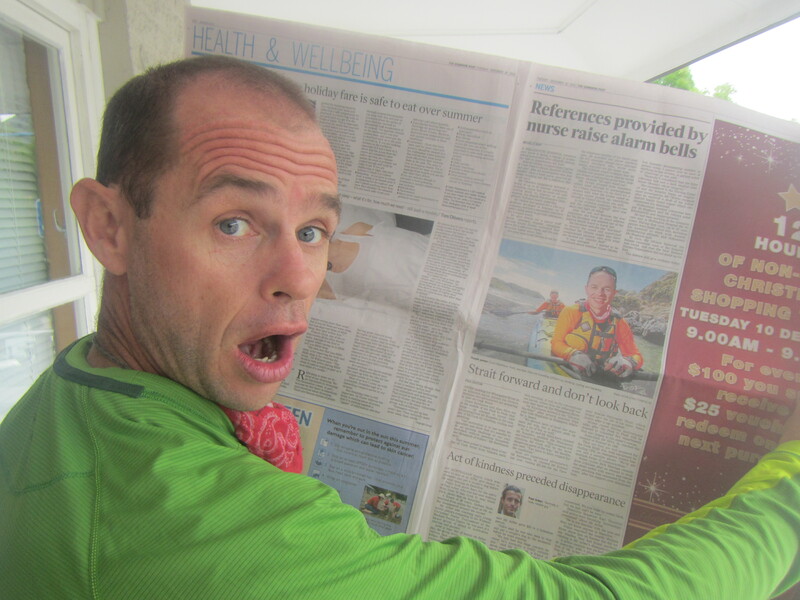 Lastly, I got news on Monday night before the paddle when I spoke to Mum that a very dear family friend had just lost her battle with cancer and passed away. She was a lovely caring gentle lady, and it was extremely sad to hear this news. When in the middle of Cook Strait yesterday, my thoughts went out to Cath and her family. It seemed fitting that as I sat in such a beautiful part of the world, to think and remember with such fondness such a beautiful person. Alan Silva about 2 hours into the paddle, the sunrise and Makara beach Wellington behind him. 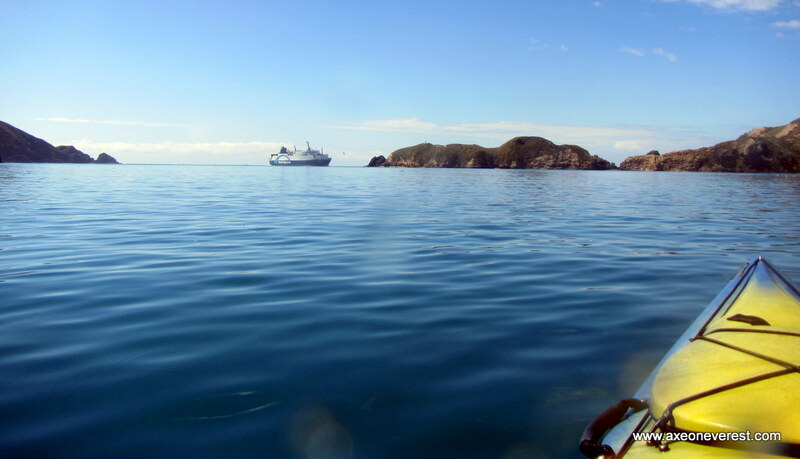 Alan Silva and Grant Rawlinson in the middle of the Cook Strait. A ferry enters the Tory channel as seen from Arapawa Island. 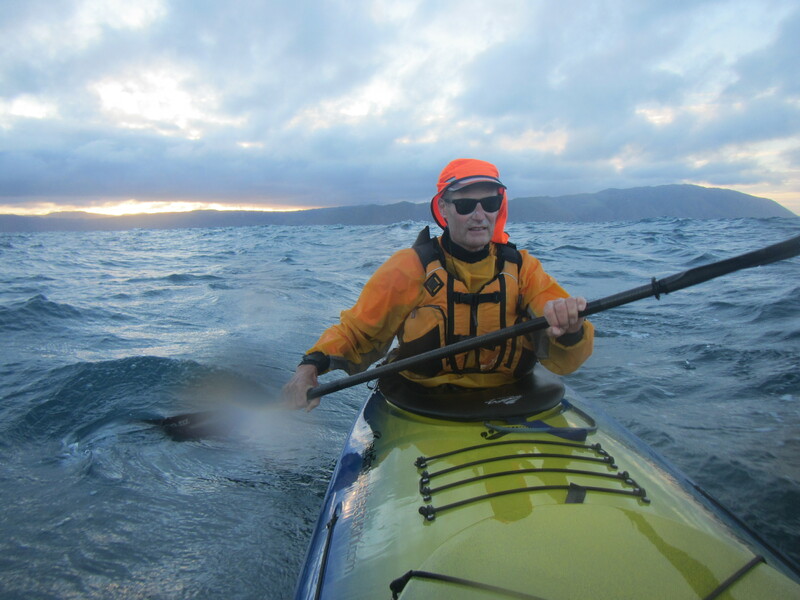 Posted on December 11, 2013, in Peak to Peak 2013 and tagged kayak ook strait, kayaking cook strait, tim taylo. Bookmark the permalink. 11 Comments. Great post! I am keen to do this paddle and you describe it well. It sounds like great fun too… cheers! 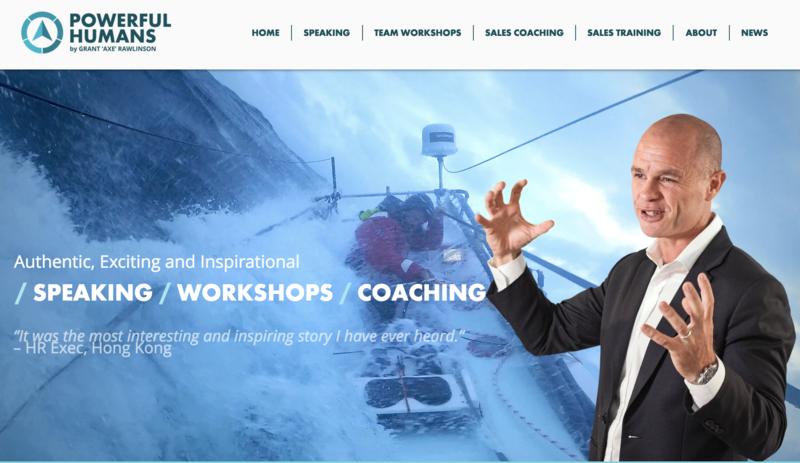 Thanks John it’s an amazing paddle – the hard thing is lining up the weather, the tides, the right boat and crew and your fitness and availability! Very impressive! I’ve always wanted to kayak Cook Strait, To see you guys do it so easily and make it all the way to Picton was quite inspiring. It was interesting watching your track, I was surprised to see just how direct you paddled, I was expecting you’d be pushed around a lot by the notorious currents in the Strait, did you have to angle the boat much to paddle the line you did? or did you just point to here you thought Tory Channel was and just go for it? Just saw your message sorry Shane – we had some guess work to find Tory Channel entrance and in the end followed a ferry heading towards that direction. It seemed our guess work was about correct when you see our GPS track as you mentioned! Congratulations fellas, the beer always tastes better after a tough challenge. All the best on your next leg. Living the moment is what it’s all about. Cheers. Go Alan! Well done on your ocean crossing, you’ve done yourself & Australia proud! Stay safe on the next leg of your journey. Congrats on a great achievement, Axe. Nice to see you’re doing plenty of vomiting on this adventure and feeling all the better for it. One small ditch, one giant leap, very well done !